Allan Pease researches and studies the psychology of selling, relationships and human communication. He teaches simple, field-tested skills and techniques that get results. And he delivers his message in a humorous way, which motivates people to want to use these ideas immediately. Allan takes you through powerful communication techniques and teaches you how to decode other people’s behaviour – and what to do about it. He also reveals how to decode a wide range of subtle clues that appear in meetings, phone calls, negotiations and face-to-face encounters. Known worldwide as “Mr Body Language”, Allan’s own record in the field of selling, motivating and training is equalled by few others. He is a born achiever, starting his career at age 10 selling rubber sponges door to door. At 17, he was the No.1 national salesman for a company selling bed linen, pots & pans. At 21, he was the youngest person ever to sell over $1,000,000 of life insurance in his first sales year and qualify for the Million Dollar Round Table. He has addressed audiences in 70 countries, and his programs are used by businesses and governments to teach powerful relationship skills. His messages are relevant to any area of life that involves winning people over and getting them to like you, co-operate, follow you or to say ‘yes’. Allan – with co-author Barbara Pease – is one of the world’s most successful non-fiction authors, writing 18 bestsellers including 10 number 1 bestsellers such as The Definitive Book of Body Language and Why Men Don’t Listen and Women Can’t Read Maps. His books have been translated into 54 languages and have sold over 27,000,000 legal copies. His television series and #1 Box Office Movie were watched by over 100 million viewers. 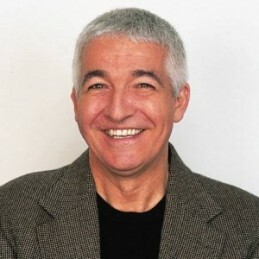 Allan is a Professor at Moscow state Technical University & ULIM International University, a Fellow of the Royal Society of the Arts (UK), a Fellow of the Institute of Management, Fellow of the Lifewriters Association, a Paul Harris Fellow (UK), JCI Senator and has been inducted into the National Speakers Association Hall Of Fame. Allan’s keynote presentations include the following topics. Importantly, Allan will speak with you personally, prior to your event, so he can tailor your session around your audience and goals for the event.